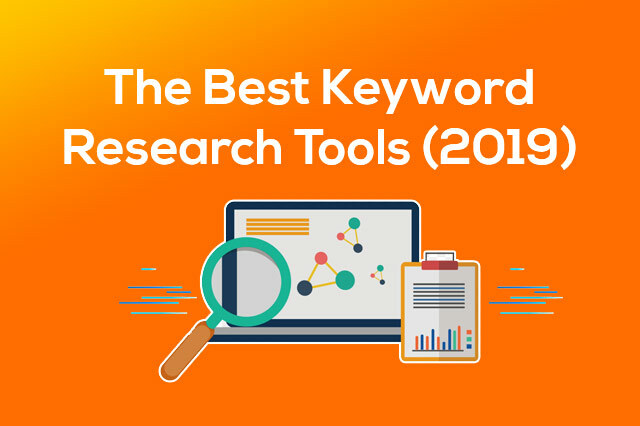 Aj Kal Hazaroon Keywords Research Tools Market me achuky Hain, Jis ki Wja say Hamain ye Preeshani Rehti Hain ky Akhir Konsa Keywords Research Tool Best Hay, or Bilkul Sahi Maloomat Hamin Pohncha Raha Hay. Is Article me Ap Jano gy ky Top Best Keywords Tools Jo apki Site SEO Ranking me Kafi Zaida Madad Kraingy. Q Kay Internet per Her Cheez Start hi Keywords Say Hoti hay Or SEO me importan factor bhi keyword research hi hay. Ider Me Best Free Keywords Research Tool Share ker Raha hon Jo Me Khud Use Krta Hon. Apko Yahan Tottaly FREE Keyword Research Tools btaye Ja Rahy Hain. Is Tool kay Zarye Hazaron Related Keyword Ideas Second me Hasil Krain. QSR meaning "Quoted Search Result"
Ye aik modern treeqa hay jisky zrye ap jan skty hain k "how many other website are trying to rank in google for this exact keyword"
or jitna QSR kam hoga apki site ky Rank #1 hony ka chance ziada hongy. Ye Tool Multiple Sources say keyword Suggest ker kay Humein deta hay. Ye aik zabardast Free Tool hay jisky zrye ap kahain bhi keyword find krskty hain. Ye tool apko top 10 site say data le kar deta ha h jin me ebay , amazon or public answer shamil hain. Is tool ky zrye apko apny keywords google keyword Planner me copy paste krni ki bhi zroorat nahi Q kay ye chrome browser me bohat achy treeqy say show hota. Ye aik Powerful keyword Tool hay or use krny me bhi easy hay. Iska Zabardast Feature hay: "Keyword Difficulty"
Kwfinder apko automatically tamam keywords ka Difficulty Score btata rehta hay, ksi or tool me ye option nahi milta. Talash krain bohat sary keyword ideas wo bhi tottally free. Bilkul, Isme koi upgrad ka chaker ya advance feature ka option nahi hay. Lekin ager ap bohat sary keyword ideas ki list hasil kerna chah rahain hain tou ye apky lye best option hay. Analyze krian first page competition or bohat khuch. serpstate aik seo software hay jo content, link building or bohat sy factors kay liye suiteable hay. Jiska mtlb hay hay ky ye serf keyword research ka hi expert nahi hay. Albta ye aik very decent keyword research tool hay. Bilkul ye FREE KEYWORD TOOL nahi hay lekin ye aik zabardast or very powerful seo related or keyword research tool hay jiska her new blogger ya youtuber ko pta honga zrori hay taky ap apni website ko bohat jald or sahi treeqy say google me rank kr skain. Ap ap tayar hain apny keyword google me rank krny ke lye or ager ap nay fiverr per account bnaya hay tou ye article ap ky golden opportunity de raha hy. Tou Finally apko is article me konsa tool naya laga? or btain konsa hay ap ka favourte keyword research tool jo ap use krhy hain? Umeed hay apny is article me zroor khuch naya parha or seekha hoga ye article future me UPDATE hota rahy ga.
Nazwrites blog sharing tech news in urdu and Hindi Language.